First Light Church in Vandalia is hosting a Giving Tuesday event on Tuesday, November 27 to raise funds for the Ronald McDonald House at Children’s Medical Center. VANDALIA — First Light Church in Vandalia is hosting a Giving Tuesday event on Tuesday, November 27 to raise funds for the Ronald McDonald House at Children’s Medical Center. Doors at the First Light Church Hangar, 140 Elva Court, open at 6 p.m. for community-wide Christian fellowship, refreshments, and fundraisers. At 7 p.m. the move I Can Only Imagine starring Dennis Quaid will be shown. The movie is based on the true story of the song by Mercy Me. It’s the song that brings ultimate hope to so many…often in the midst of life’s most challenging moments. You’ve heard the song, now experience the movie. Admission is free, and 100% of all donations will be given to the Dayton Ronald McDonald House. Join us as several churches start efforts to bring all Christians in our community together in various fun and faith community-building ways. We hope you will consider joining us – Youth Groups, Senior Citizens, church members, family and friends will all enjoy this incredibly powerful movie. Giving Tuesday is the perfect time to remember the reason for the season. Giving thanks for our many blessings, while supporting families going through a difficult challenge on their faith journey. All proceeds will go directly to Dayton Ronald McDonald House. 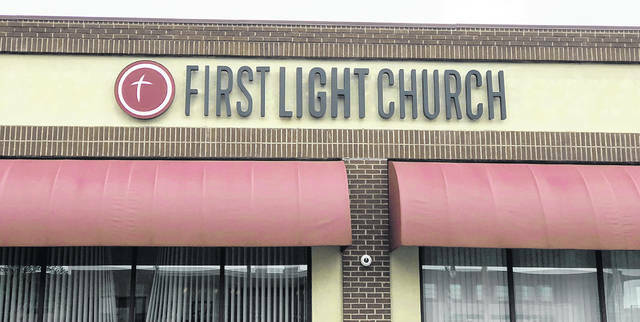 https://www.vandaliadrummernews.com/wp-content/uploads/sites/19/2018/11/web1_FirstLight.jpgFirst Light Church in Vandalia is hosting a Giving Tuesday event on Tuesday, November 27 to raise funds for the Ronald McDonald House at Children’s Medical Center.